for websites of all types, styles and sizes. We also offer social media marketing, search engine optimization and other specialized services, including the creation of responsive web designs	and brand-managed email templates. Have a mock-up prepared? We can code it into a fully functioning website. Have only a logo and a few ideas? We can create a web presence to suit your needs. Need an e-commerce site without all the fuss and bother of complicated merchant accounts and software? We can create an easy-to-maintain shopping cart for your business that deposits payments directly into your bank or Paypal account. We can also provide brand and content management for your existing websites, newsletters, and social media presence. Browse through the various sections of our portfolio to see examples of the wide variety of work we have done and let us know what style or project type suits your needs. HockeyGurl Designs was located in Scottsdale, Arizona for many years, where the sun shines nearly 300 days out of the year and people are allowed to live inbetween the golf courses. We have completed a major move south to Tempe, home of the National Champion Arizona State University Sun Devil Hockey team and future home of the Arizona Coyotes. Needless to say, we are quite excited to be on the doorstep of the Sun Devil's ice hockey arena, and blocks away from the proposed location of the new Coyotes arena. 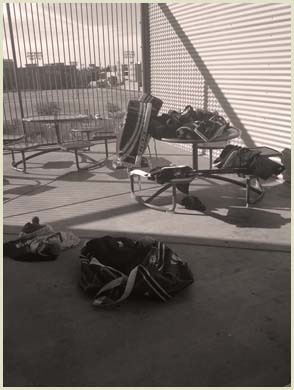 HockeyGurl Designs has been growing, creating and developing since our staff and their families, and all of their hockey equipment, arrived in the sunny Southwest in 1990.